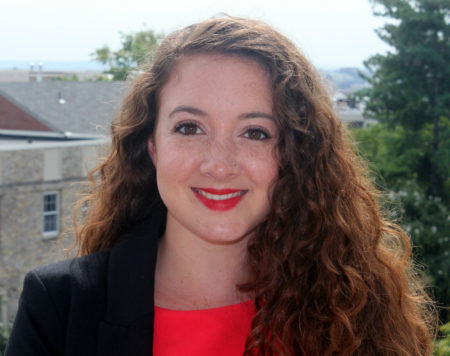 Rebekah Nantz graduated from American University in 2015 where she majored in International Relations with a concentration in Peace and Conflict Resolution and minored in Theatre Arts. She is primarily interested in the nexus between art and diplomacy, and enjoys any opportunity to combine the two. Rebekah previously served as Communications Intern for the Embassy of the Republic of Tanzania, organizing education-focused events and producing media pieces for the Embassy website and blog. While at Meridian, Rebekah served as Visitor Services Program Associate before becoming a Professional Exchanges Program Associate, Orientation Coordinator, and Cost-Share Facilitator. She now serves as a Development Coordinator in our Development and External Affairs Division. She studied abroad in Madrid, Spain in 2013 and is conversant in Spanish.